I tried the vnc solution built into 9.10 and just wasn’t happy with performance and the fact that if I logged out I was screwed. I tried the NXclient that someone suggested and wow, very nice–easy to setup even with all my composting effects turned on and across a VPN connection. Also you will need to check your emails being sent out, because it will use the local LAN IP and not your remote one (ISP one)..
That last image is 1meg in size – you could probably save a bit of bandwidth by reducing it to a tenth that size. This worked great for me on Mint 8. Thanks for the help! I can’t believe how easy it was to set up! Do i substitute the loca ip for the exter ip if I want to traverse the internet. Would I need to punch wholes in the fire wall. Yes you would need to use the external IP, because your local IP is only visible from the local network..
as for firewall you should be fine, I don’t thing it needs to be touched. I connect externally and I didn’t touch my firewall. I didn’t open any ports on my router – and it seems to work fine. I don’t have a fixed IP address, however. Are there any solutions to that problem? grdc is fastest and the best. I have tried this and it was a little bit slower for me. I want to find out if this was just my internet connection. Is there a way to listen to the music from the computer you control? My ubuntu desktop controls my stereo. I use mpd. From other nodes on my local network I use various clients, including gmpc. There is even a client for the iphone. hey. i tried to access my ubuntu desktop from a windows xp with, machine. 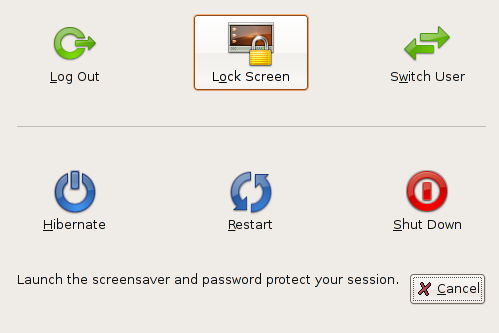 but the screen doesn’t change on VNC viewer if i made some changes. 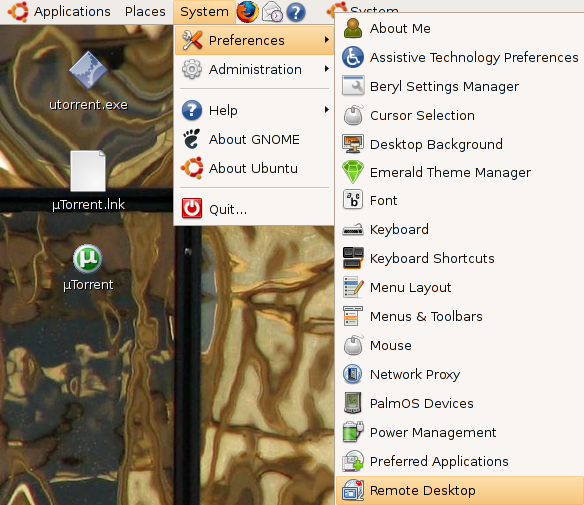 for example if i right click, the nautilus menu doesn’t appeear on my vnc viewer. I have the same problem (I think) as does znupii. 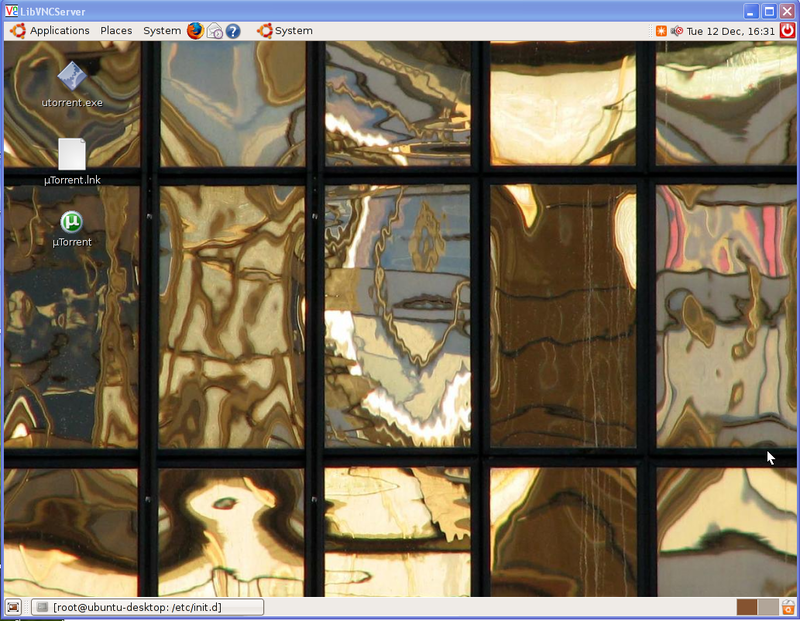 I see the desktop on vnc viewer but it does not change , more like a fixed graphic of what my ubuntu box has. Mouse works, I can see it selecting items etc via vnc but the opening windows do not show on the remote side. What needs fixing? 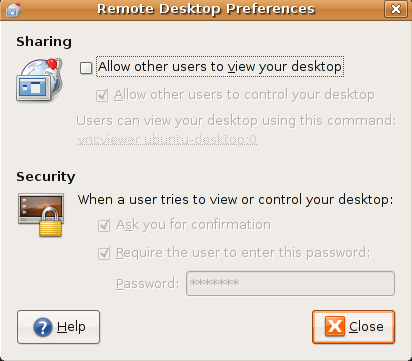 Are there any protocols suitable for remote connecting to an ubuntu desktop? This method works well, but I feel like it might be too technical for some. I guess that’s what happens when you’re running Ubuntu, but regardless, I think in a business setting it is cost effective to use paid remote desktop software.. less downtime, less lost revenue. This software works perfectly for personal use. If you want to develop this for a business purpose, it’s more efficiently to use VPNs. Almost all business applications are based on VPNs. Good work!, Thanks a lot. It woked nice for me. 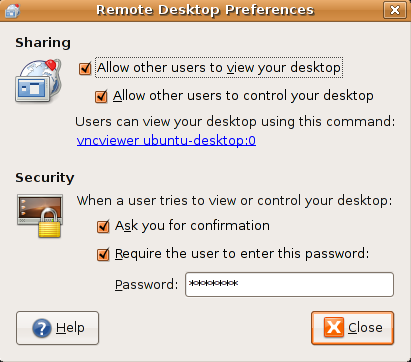 after entering the password in VNC viewer i don’t get the above shown dialog box that someone is trying to view your desktop how to enable this… i want my linux pc to be used by more than one users. please help me. what are you trying to get out of your server..
How do I share my desktop with a Windows user? I’m using Ubuntu 10.10. If you select that check box, you should be able to both connect at the same time. I do not think VNC rendering speed and quality over long hops is that good. YMMV of course! I use Xen desktops from home and on the move and I can say that the quality is much better. Thanks, just didn’t know what to type as port. I don’t think :port has anything to do with the real port it is running on. Think it is tied to gnome session you are running, which I didn’t realize you needed to do. Like someone said earlier, pretty sure real port is 5900. Still not got answer for. 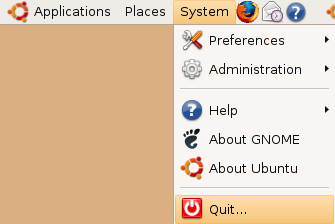 Once connected with VNC to Ubuntu 11.04. Why the resolution did not come same as your ubuntu desk 1024 X 768. If any graphics driver installed like ATA/NVIDIA than Why VNC mouse only work windows did not comes up things run to main system but did not get same screen refreshed on client. If you disconnect VNC and connect again you get the screen. so refreshing is not working after installing graphics driver. Please some one expert with ubuntu put some light on this. Help in need. Thank you.